Yes, I am still talking about what I received for Christmas from my family to do with knitting and crocheting. My aunt gave me this cute little case to help keep all of my knit and crochet things organized. 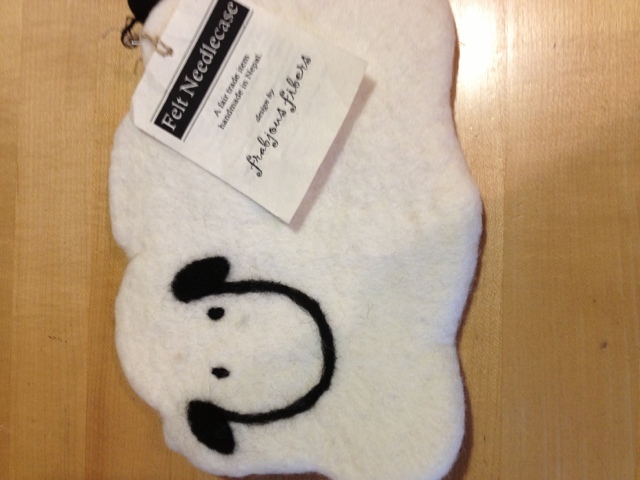 What makes the case so special is that it is felted and the case is in the shape of a sheep. I showed it to all of my friends in my knitting group and they all thought that it was so cute.